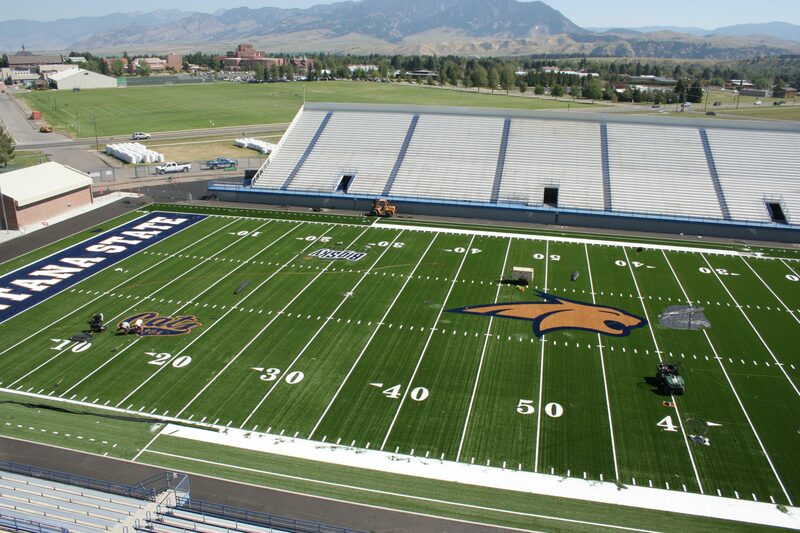 After a decade since its last major renovations, Bobcat Stadium was gifted new artificial turf for its players in 2008. The FieldTurf surface replaced the stadium’s grass playing field. As part of a design-build team with Sime Construction, Sanderson Stewart provided design, plans and specifications for the new drainage system and sub-base for the FieldTurf playing surface for Bobcat Stadium, as well as other associated stadium improvements. Design-build delivery was chosen due to the challenging schedule. Other project challenges involved utilizing existing storm drainage infrastructure and working around existing stadium infrastructure and utilities, and coordinating with athletics, facility services, and contractor to meet various client needs. 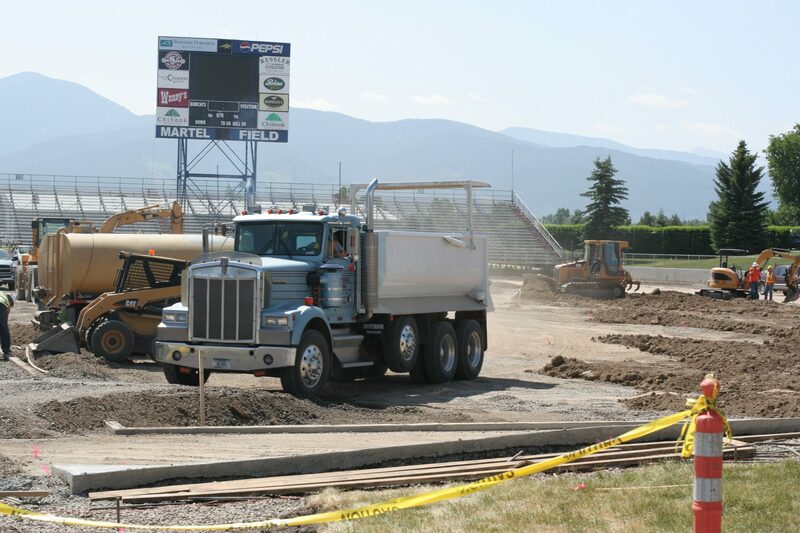 Sanderson Stewart also provided construction administration and worked closely with the team in order to meet the construction deadlines to have the field completed by the first home football game. A Gift From MSU Football Alumni; the new artificial turf for this project was a gift from the 1984 Bobcat Football national championship team and friends.